Knox Burgoyne: "A country church"
You are always welcome at Knox Presbyterian Church in Burgoyne, 4865 Bruce Road 3, R.R. 2, Port Elgin, ON. Sunday services at 9:45 a.m.
A PLACE FOR FELLOWSHIP, WORSHIP, RENEWAL, LEARNING ABOUT FAITH AND PRAYER ~~ JOIN US IN THE COUNTRY ANYTIME! 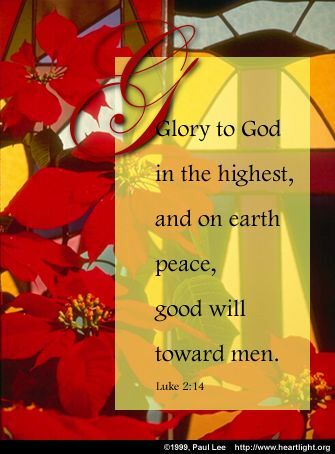 SUNDAY SERVICES START AT 9:45 A.M.
Dear friends, I would like to take a moment to wish you a Merry Christmas. During the season of Advent, we celebrate the coming of Jesus Christ. Without Christ's presence among us we would be lost. Through God's presence working within us we are being healed, transformed, reconciled and made whole. I pray you have a meaningful Christmas and wish to see you at the church. We would also like to inform the congregation of some of the things that took place during this past year. --Our Annual meeting was held on March 4th followed by a pot-luck lunch. The meeting will be held on March 10th in 2019. It will proceed quickly with the promise of a tasty meal ahead. Please try to attend. --On Mission Awareness Sunday, April 29th, a video was shown about the 125- year history of the Presbyterian Church and the members of St. Andrews Presbyterian in Southampton were our guests. --The Southampton WMS has joined with our WMS ladies for meetings and they meet alternately with the host group preparing the study. --On Easter Sunday, the congregation enjoyed the combined choir of Knox, Tolmie and Chantry singers performing the Easter cantata: "Risen Indeed". The choir was directed by Anne Little, accompanied by Christina Edwards and narrated by Hugh Wright. --A congregational meeting was held on April 3rd to discuss the ownership of Dunblane Presbyterian Church and session's recommendation and subsequent transfer of the ownership to the present Dunblane committee. --A very successful garage sale was held on May 19th at the Thornburn home in Southampton. A potluck picnic was enjoyed by many church members at the church on August 5th. --The first weekend of September the church had the misfortune of having the safe stolen and many of our church records were lost or badly damaged. So if anyone has items relating to our church history, please give them to Willa Faust. --On September 16th Rev. Peggy Kinsman from Wing ham was the guest minister at our 156th Anniversary Service. --Sundae Sunday was enjoyed on September 30th with a total of $278.00 being raised for Cropshare. 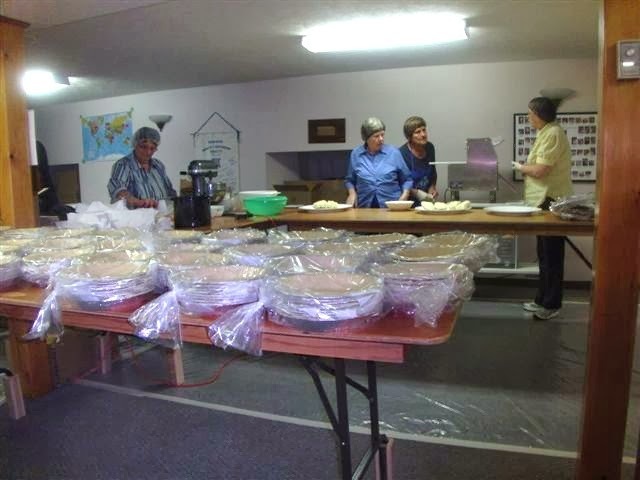 --On October 27th with help from our sister church, friends and family we made approximately 900 apple pies. Many packages of pastry were also sold. --Ladies continue to make prayer fleece blankets for folks who are struggling with illness. The BCW gives baskets, flowers and sends out cards. We save used milk bags, collect food for the local food banks all year and the WMS collects used stamps for the blind mission. --The Bible Study group meets weekly on Tuesdays from 10:30 to 11:30 am. Everyone is welcome. Free copies of the Presbyterian Connection are available and can be mailed to your home, just contact Willa Faust. --The Sacrament of Holy Communion was held on First Sunday of Advent December 2nd, 2018. That Sunday was also our White Gift Sunday. Donations are split with the Tara and Port Elgin food banks. This year, due to the Sunday before Christmas being on the 23rd, the Christmas pageant "The First Christmas Gift" was held the morning of December 16th at 9:45. Following the service we enjoyed a time of fellowship and lunch. On Christmas Eve, Tolmie in Port Elgin is having a candlelight service at 7:30 pm. --Communion dates for 2019 are: January 27th, Palm Sunday April 14th, June 9th, World Communion Sunday October 6th and the first Sunday of Advent December 1st. --Christmas is the radiant star that bathed the hillside over Bethlehem with holy light, the manger where the tiny Saviour lay, the wondrous look on Mary's face. Christmas is the message that the angels brought to awe-struck shepherds, the wise men bringing gifts befit a King, the gentle lowing of the cattle in the stall. Christmas is the spirit of abounding love, God's sweetest miracle, a time of holiness. Christmas is after all, celebrating our Saviour's birth. Asking God to richly bless your Christmas with the joy of Jesus, the love of family and friends, and the peace of His presence. Merry Christmas from The Session of Knox Presbyterian Church, Burgoyne! 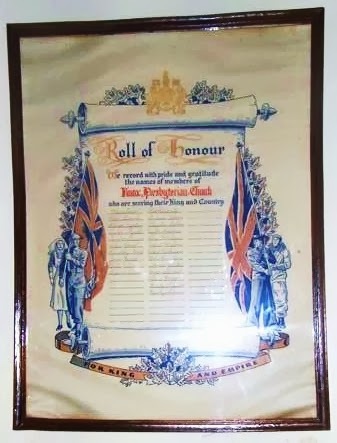 be honour and glory forever and ever. Amen. Wishing you a joyful and blessed Christmas from your friends at The Presbyterian Church in Canada! May your holidays be filled with the hope, peace, joy and love of Christ. On Jesus’ first arrival into the world, there was not enough space at the inn for a little baby and his travel-weary parents. The inn was too crowded, so Jesus was born in a manger among the animals. The biggest event in human history happened quietly and inconspicuously. Not expecting the Messiah to be born to such a humble couple in an unexpected place like Nazareth, many people missed it. It is also true in our time that Jesus continues to show up in unusual and unexpected places. Are we paying close enough attention to see where Jesus is appearing in the world and in our lives? Christmas is a good time to reflect on how we make space for Jesus. Have we been so busy with the details of our lives that we’ve forgotten who we live for? Have we failed to invite Jesus into our homes because our guest list is already too full? Have we forgotten to set a place for him at our table because our to-do list has grown too long? Remember, Jesus shows up in unexpected and unusual places. Let us be vigilant and make room for him because he is coming again. In the Christmas season, we celebrate the birth of Jesus. Jesus was known by other names, names given by angels and prophets. Some of those names are: Emmanuel (which means “God is with us”), Wonderful Counsellor, Prince of Peace, Bright Morning Star. In the child in Bethlehem God has come to be with us, Emmanuel, to live among us. Jesus Christ knows what it is to be human and Jesus cares for us. In those moments when we do not know where to turn, when the weight of our lives is too much to bear, Jesus the Wonderful Counsellor, is here to listen and to help us bear the load. In a world where conflict is everywhere—conflict between nations, conflict between individuals, conflict between us and family, conflict between us and God, conflict with ourselves—into that world Jesus the Prince of Peace brings the startling peace that passes all understanding. In the dark of hopelessness, the light from the manger in Bethlehem pierces the darkness, bringing light and hope to us, to our families, to our communities, and to the world. This Christmas may you know the joy that Jesus—Emmanuel, Wonderful Counsellor, Prince of Peace, and Bright Morning Star—is born! 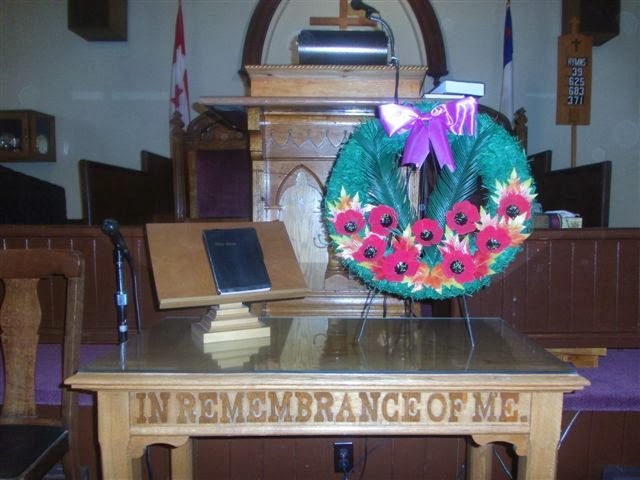 Remembrance Day wreath in place on cancel table at Knox Burgoyne. Below, honor rolls with the names of Burgoyne "boys" who served in two World Wars...Lest we forget! 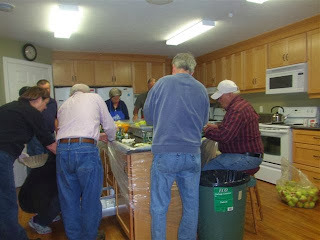 Men help out with apple peeling. 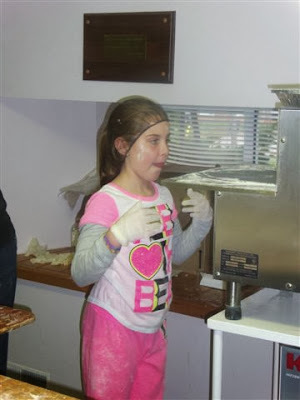 The annual pie making "fun day" took place at Knox Burgoyne on Saturday, October 26. 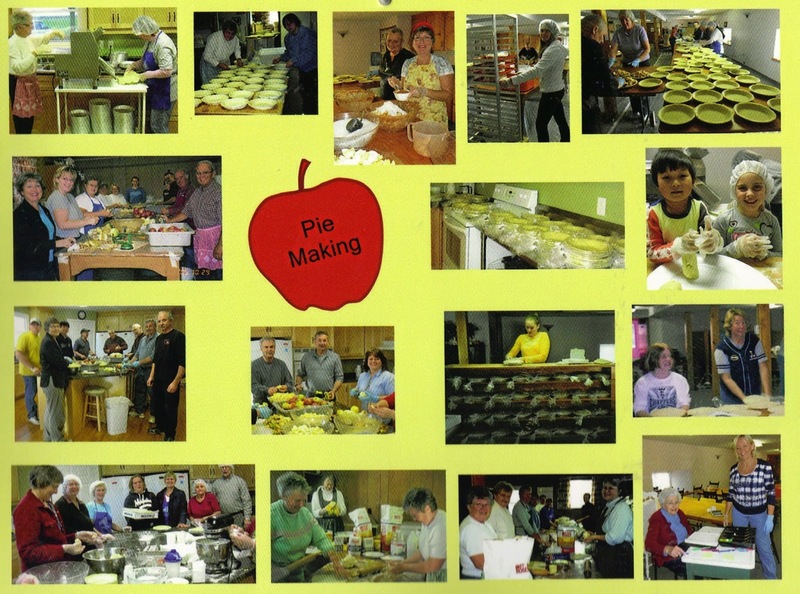 Twenty-eight bushels of apples and untold quantities of flour, sugar, butter and eggs were turned into an almost unbelievable 700 pies by the end of the day. All the pies had been ordered in advance of what has become the church's major fund-raising project of the year. WMS ladies served lunch for the hungry pie-making crew, and guess what was served for dessert? -- apple pie. In the photo to the left, young Taylor McKibbon waits for action at the dough rolling machine while in the photo below Marion Rice and Lori McKibbon prepare pie shells for filling. The main strairway to the sanctuary at Knox has been widened to accommodate a new chair lift that allows easier access for the elderly and disabled. 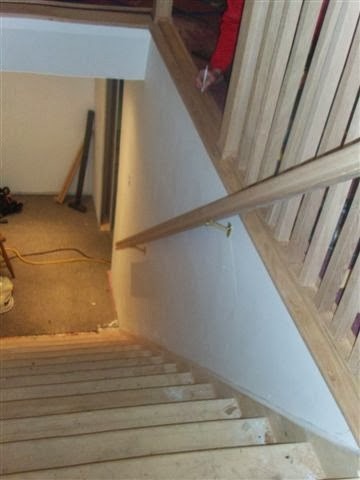 Dale's Carpentry installed new railing and a new fire door was added at the bottom of the stairs leading into the basement. A grant of $12,000 from the Life and Mission Agency of the Presbyterian Church in Canada's McBain Barker Fund facilitated the project. The chair lift was installed soon after this photo was taken and fresh paint and carpeting on the stairs completed the job. It has everafter heen upward at Knox -- or downward, as the case may be...It's all good! The Presbyterian Church in Canada is deeply saddened and concerned about the terrible situation continuing to unfold in Lac-Mégantic, Quebec. Our thoughts and prayers are with all those impacted by this tragedy. At worship services this weekend, please remember the victims, their families and the community. Heavy are the tears of your people, O Lord. Hearts are broken and souls are wounded as neighours, family and friends face the tragic losses in Lac-Mégantic. From lives that know the sting of death, we pray for the people and community leaders. We give thanks for the first responders and for those who encounter first the realities of disaster. 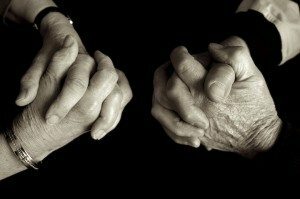 With the psalmist we find peace that it is you, O God, who holds our tears with tenderness and respect. Bring healing, justice and change in Jesus’ name. Knox Burgoyne celebrated its 150th anniversary in 2013. Holding the 150th banner in this photo are Judy Morrow (left) and Jan Hartwell. Many happy faces at Operation Overboard Vacation Bible School in Burgoyne. The annual pie making project is the biggest fund-raising undertaking for Knox Burgoyne each year. 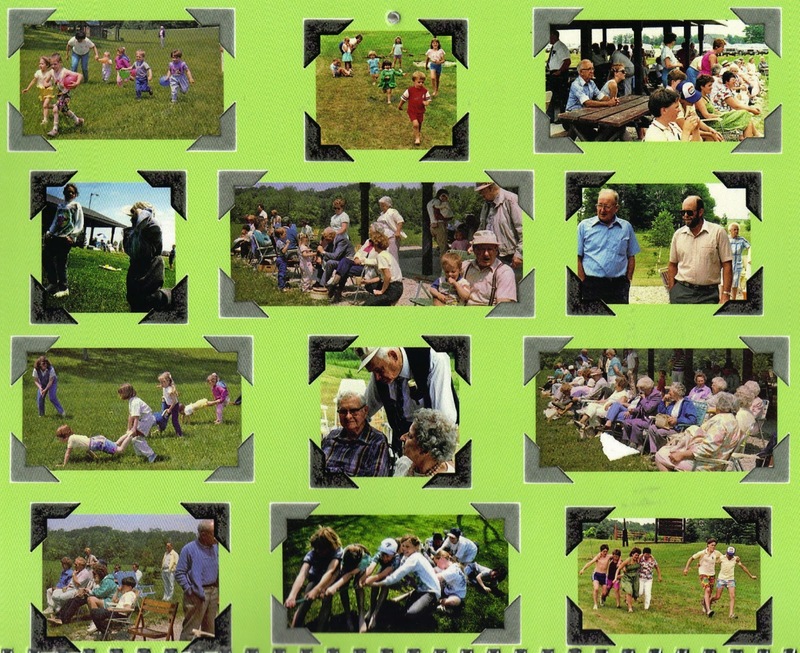 Picture here is some of the production line activity involving many volunteers, young and old. *Click on the image for an expanded view. Be sure to get your order in early this year...The pies don't last long. COMING SOON IN THIS SPACE. HOT NEWS. WATCH FOR IT! We are located at the intersection of Bruce Road 3 and County Road 17, 10 kilometers east of Port Elgin. Look for the church on the hill. Knox Burgoyne, P.O. Box 1239, Port Elgin, ON. NOH 2C0. Telephone: 519-389-3644. Elders: Leone Gingrich, Emily McLean, Lois Fotherby, Lois Cobean, Diane Maggs, Merv Kobe, Ken Underwood, Calvin Kay, Doug Gowanlock. 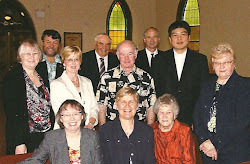 In 2012, Knox Presbyterian Church in Burgoyne celebrated its 150th Anniversary. 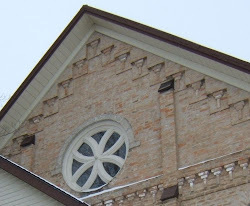 Records show that the congregation was “born” in 1862. Our present building dates from 1869. It is a plain but beautiful church, built with the resources of rural people of the time. Six generations of members and adherents have attended services in the present church building. Knox Burgoyne is our second church name. Our first was West Arran and Saugeen, until 1909. 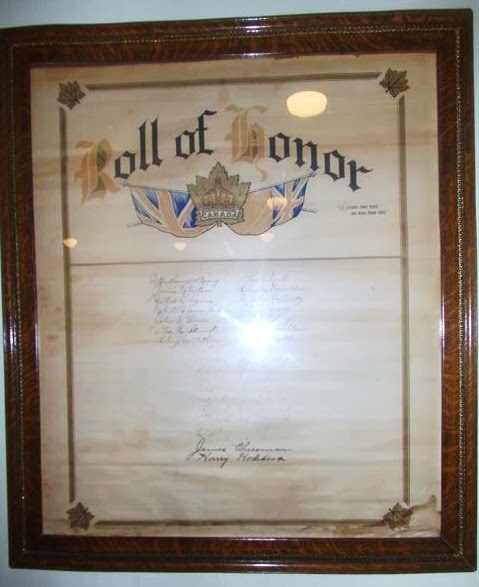 We became Knox Burgoyne in 1954. 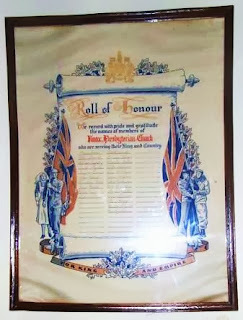 Knox Burgoyne was affiliated with Dunblane, which ceased to be an active church in 1968. 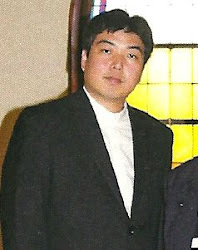 Knox then joined in a two-point charge with Tolmie Memorial Presbyterian Church in Port Elgin. There have been many changes over the years. Our current and twenty-first minister is Rev. Chuck Moon. We have seen three organs, five major building renovations and many restorations. The west vestry-kitchen has changed four times with the newest kitchen renovation in 2009. Thousands of services and celebrations have echoed in the halls. The sanctuary ceiling has been raised and lowered and raised again. The sanctuary floor has been raised. The basement floor has been lowered. Many of the outbuildings have changed since horses and buggies became cars and trucks. Our church is fairly conservative in worship style. We enjoy traditional church music but we are learning and enjoying many new hymns. We tend to be casual in our attire. We have Sunday School, Women’s Missionary Society, the Burgoyne Church Women’s group and a choir that always welcomes new members. The Dunblane Presbyterian Chuch was affiliated with Knox Burgoyne until it closed in 1968. It is now declared a historical site. 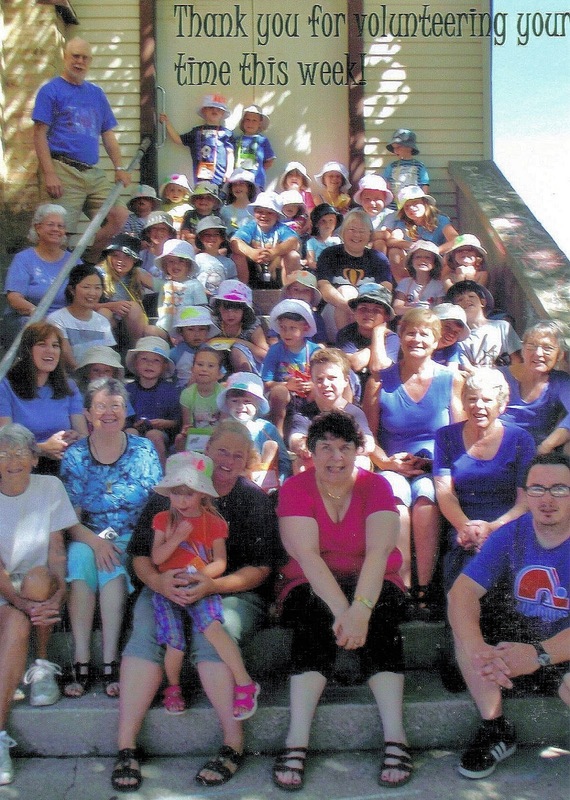 The church is opened once a year for an annual traditional anniversary service on the first Sunday of August, involving families of former congregation members and people from Knox Burgoyne and Tolmie in Port Elgin. 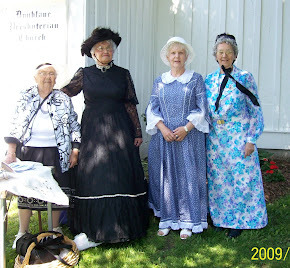 Ladies from Knox Burgoyne and Tolmie Port Elgin dressed in Sunday-go-to-meetin' finery of the 1800s for a recent Dunblane Church anniversary service.